Rescuers continued to search on Sunday night for a woman who fell into an uncovered sewer during heavy rain in Central China. 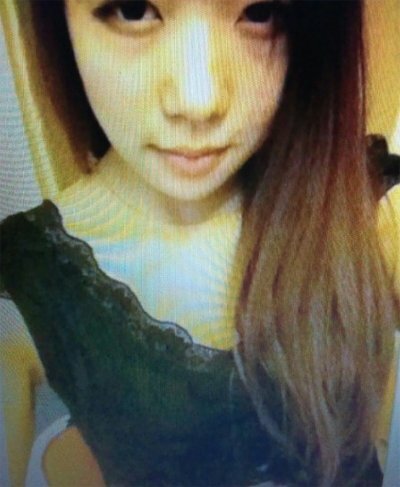 Yang Lijun, 21, disappeared into a 6-meter-deep hole in Changsha, Hunan province, on Friday night. "We have searched the city’s sewers three times, but so far we have found no trace of the woman," Zhou Gang, head of sewer and road maintenance in Tianxin district, said on Sunday. More than 30 rescuers, including police officers, firefighters and eight mine rescue specialists, have been on the scene since early Saturday. According to firefighter Yang Xing, the outlook is bleak. "It (the water speed) was too hard to handle when we got here, so we asked for specialists to help," he said. "But they also had difficulty going into the drain." Gong Chengping, a spokesman for the district government, said the woman’s chances of survival are slim because the fast-running water could have already swept her into a river. "In heavy rain, the velocity is extremely fast, and it could have carried the woman to a nearby river within 10 minutes," he added. Yang Lijun, a senior at Beijing Nationality University, was walking home with a friend when the accident occurred at about 9:30 pm. Liu Dongliang, a security guard who works at a bank opposite to scene of the accident, said he heard a woman scream and rushed to see what had happened. "The scream was the woman’s friend — they had been going home together. I saw the friend kneeling on the ground crying," he said, adding that the surface water was more than 40 centimeters deep on the street around the uncovered drain. He recalled that the drain had been covered before the rain began to fall. On Sunday, about 50 people held a candle-light vigil close to the scene. Authorities said Yang’s parents are staying at a hotel nearby and are being given emotional support as the search continues. Maintenance chief Zhou said strong water flow rising from the sewer due to the heavy rain may have moved the manhole cover, resulting in the accident. "The manhole is in a lower area of the road that was flooded in the storm and the cover must have been pushed up and away," he said. 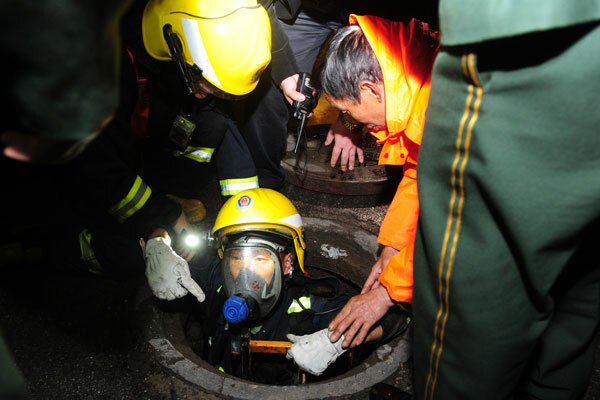 Kang Qingchun, a professor who specializes in fire control research at the Chinese People’s Armed Police Force Academy, said the reason the manhole cover opened should be investigated, and it is urgent that city checks all covers to prevent a similar accident. "The gas in the gully drains must be disgusting, and the floodwater at that time couldn’t have left enough air for the woman to breathe," he said. He said the case could also indicate negligence in checking sewers, and authorities must take measures to ensure they are secure. "Manhole covers can be checked and supervised with advanced technology that has been used in big cities," he said. "We can’t exclude the possibility that the torrents took the cover, but Yang’s case also reflected that we hadn’t done enough work on manholes regularly," he said, suggesting residents can also take photos or call authorities if they find uncovered manholes. Yang Lijun, a college student majoring in jewelry design, is about 1.67 meters tall, the Xiaoxiang Morning Herald reported. She had returned to her hometown about two weeks ago to talk with her parents about whether to seek a job in Changsha or become a civil servant in Hainan province, according to the report.